Lately, more and more people will have probably heard the term 5G being bandied about. 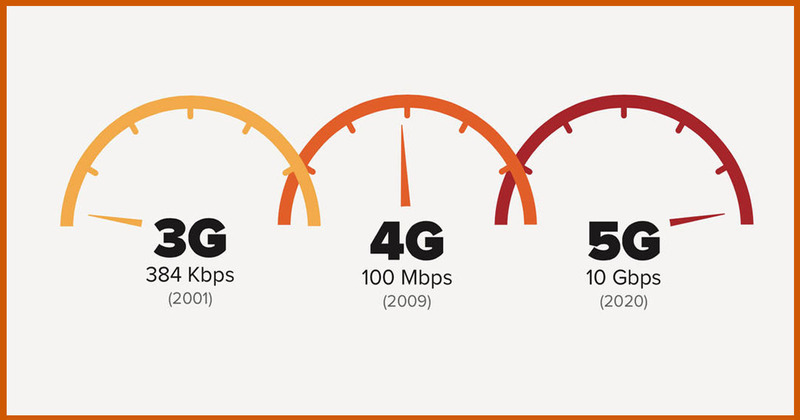 However, while they probably have worked out that it is the next step up from 4G, they may not truly understand what it means for not only consumers but businesses and the world in general. 5G is short for fifth-generation mobile networks and the main benefit that it will bring is speeds up to 100 times faster than its predecessor, but just how else can 5G change our lives? First of all, speed is everything and 5G will have plenty of it. There are more and more of the masses playing games on their smartphones and tablets than ever before. And whether they are playing a mobile game, or even spinning the reels of their favourite slot via any casino mobile app, they will enjoy a much better and more reliable experience thanks to the increase in speed. The gaming industry values this market considerably, with studies predicting mobile gambling to grow by 19% by 2021. Game developers will also be able to create better games that are bigger in size, as well as add additional content, due to the time it takes to download being significantly reduced too. What 5G also has the ability to do is create millions and possibly even billions more connections than ever before. Connections through the fifth generation of mobile networks will be established instantly and they will also be the most secure ever. This could see industries such as healthcare, manufacturing and emergency services profit in ways never thought of before. Doctors, for example, could attach a medical device to a patient and this could see them obtain more accurate data, faster. What we have begun to see being rolled out around the world in a testing phase are cars which drive themselves. This is one advancement in technology that consumers are really looking forward to, and 5G can play a huge role in this too. Today’s current 4G networks are not suitable when it comes to autonomous driving due to the response speeds not being fast enough. However, with 5G reportedly kicking out speeds that are over 100 times faster than 4G, we could finally see self-driving cars on the road that are safe, with accidents highly unlikely to occur. Eventually, due to 5G, we are going to see what people describe as smart cities created due to the low latency of 5G which means everything can literally be connected to everything. We could see fitness devices connected to gym equipment, we could even see cars connected to sensors on the road and traffic lights. It will make the world we live in more efficient and eventually we will live in a smart world where industries can connect and share information in real time to the benefit of everyone. It’s believed that 5G technology will begin rolling out next year sometime, but that it won’t be available for possibly a further 3 or 4 years in the UK for example. By 2035 it’s expected that 5G will have a global economic impact in new goods and services that will reach approximately $12.3 trillion, proving just how integral it is set to be. 5G may affect us adversely since it most likely will cause cancer. The radio waves are the same as those in a microwave oven – but here it has been contained inside the oven. The radio wave will go far shorter and suffer from much bigger distortion – attenuation. They are easy to stop, and cannot go through walls unless these are made of paper. This is nothing new, but some people seem to be elevated to some place where the laws of physics does not work any more So the article is about as serious as a study of what a wonderful place this would be had we all used size 70 in shoes and could walk on water. The 5G will have short life. We had big problems in many countries with mobile phone rollout, and the use of the 900MHz radio frequency, At that time they had studies that gave grounds to doubt the safety of the radio frequency and related this to brain tumours. At 2.4GHz – the WiFi this is closer – the 2.1GHz that is used outside the US for data is in the same category. At 3Hz and 4GHz and then 5GHz higher frequency, the wave length is less that an neural cell tentacle that will then be an “antenna” for the waves. So prove them safe!